Visual content holds a certain appeal that websites integrate images to every page, or even operate solely through photos. Now, with the new AJAX navigation menu widget, images can be added to the drop-down menu as well. 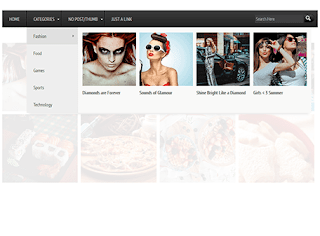 The AJAX navigation menu for blogger is a widget designed specifically for the Blogger platform. It is inspired from the Mashable website long before it was given a makeover. Despite the plain and simple inspiration, the drop down menu with images is a huge hit. The AJAX menu is a multi-level drop-down menu that is based on the standard unordered list of HTML. When a menu contains a sub-menu, it loads on the fly when a user rolls over the main menu. What is great about this is that it saves outgoing traffic, especially on a website that uses a large navigation. Most AJAX applications will work across different browsers even with other plugins or proprietary technology already installed. The menu with images works in the same premise, instead of being designed for a specific browser. Because there is no telling which browser you or your blog readers would use, the new AJAX drop-down mega menu with images is the ideal option. With the new AJAX menu, you only need to roll over a menu item and sub-menus will automatically load. No need to click on a menu to get the sub-menu to drop down. This not only saves users' valuable navigation time, but also outgoing traffic. There are plenty of other features, but you would not be able to use or experience them if you do not install the new mega menu with images. What do you need to do then to implement it in your blog or website? Step 1. 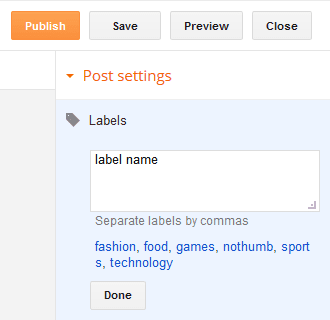 Log in to your Blogger account, then go to the Dashboard. Select the blog where you want to install the new mega menu. - If jQuery plugin already exist, remove the line in red. Step 4. Carefully add the HTML code to ensure that the drop down menu with images will work as designed. There are only three types of URLs that the AJAX Menu accepts and they must be used accordingly. Among the three URLs, the Search Query has to be URL encoded using a specific tool. Step 6. Click on Save template for all the changes to take effect. Once that is done, your AJAX menu with images will be implemented and ready for you to use. Make sure to choose photos that are relevant to the menu and sub-menus so your website will have cohesive look and appeal. Research shows, however, that text accompanied by any image, even if completely irrelevant, can grab attention. Hello! :) I just found out about your blog tutorials and yay they were all working perfectly. Great, I have done it!!! Thanks a lot!!! Superb Mega Navigation.. It can be more better if you make it responsive..
Dear Sir Mega Menu thumbnail Missing kindly update it.Do not show in your demo link. Hi, can you set this menu for responsive use? I want to ask if there is a widget for the post style shown on th demo! this worked amazing for me and i loved it. but all of a sudden its stopped working! has there been an update? Google Code has been shut down and the scripts there are no longer available, so please add again the scripts from step 3. I have a problem. I've been using this megamenu for awhile, and had grabbed this code from ask cloud. But for some reason, the images wont show up now. Previously everything was working great till a few weeks ago. can you tell me what is wrong? This is my blogspot. Please make a backup of your template before doing this.